Increasingly being used in the UK following widespread use in North America. This black oil-rich tonic seed is readily taken by a range of species. 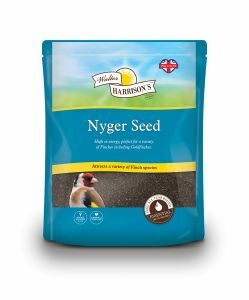 Nyger (or Niger) is particularly favoured by the stunning Goldfinches, being similar to the seeds of thistles and teasels on which they naturally feed. Suitable for Feeders, Table and Ground Feeding.